Albrecht Durer was a prolific artist known for his woodcuts/engravings, silverpoint, pen and ink drawings, watercolors, nature studies, and oil paintings. Below is a wide selection of works from all of these mediums. We studied Durer in our cooperative learning community, and for this type of group study, I highly recommend works #1, 2, 3, 4, 6, 9 and 10. 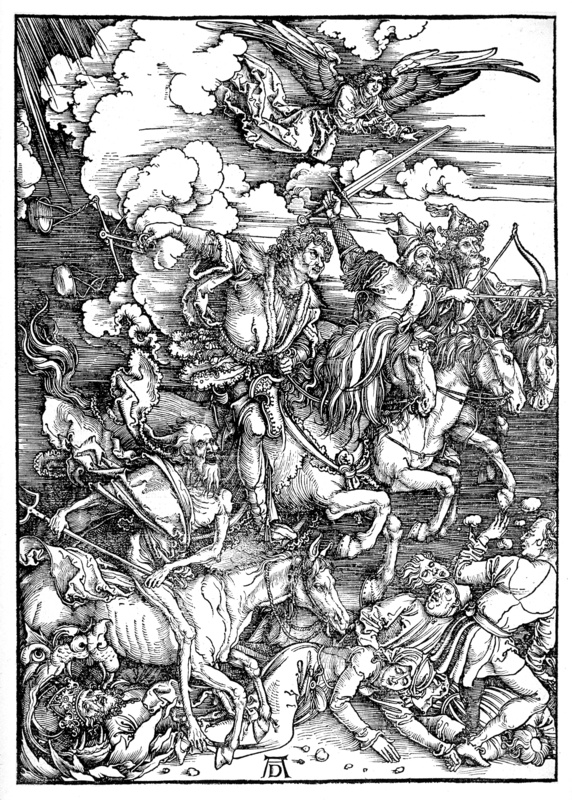 Older students often enjoy his more detailed woodcuts (5 and 12), but some of the images of the horsemen and devil can be disturbing to very young students. I presented these pictures every other week in a 12 week term. The odd weeks were for Composer Study. 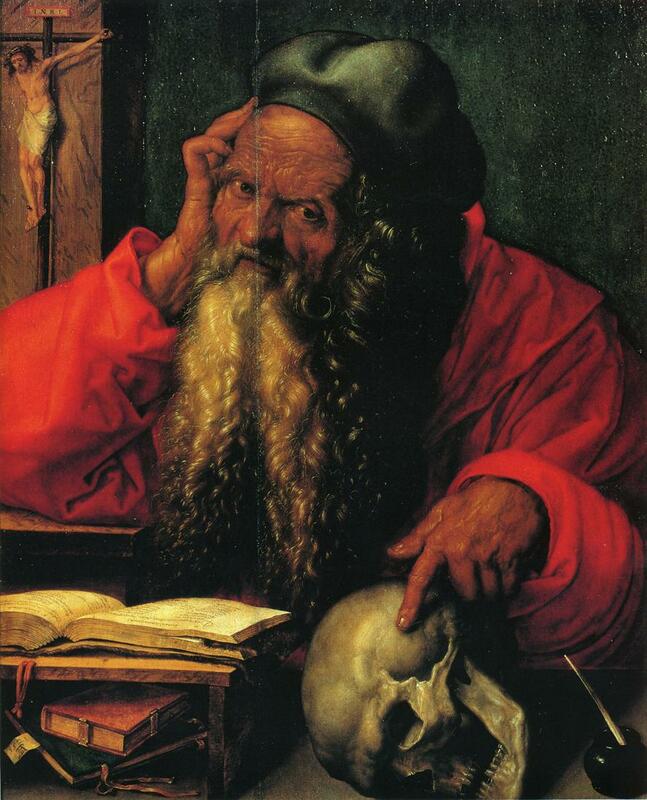 Our students enjoyed Durer's use of religious and mathematical symbolism. Durer was known for his study of the human hand, for his appreciation of geometrical objects (Durer's solid), for his depiction of clouds, and for his use of natural/religious symbols such as doves, beetles, and butterflies. Durer's magic square in Melancolia I is quite famous and can provide a fun math lesson in the middle of an artist study. There are several articles on the internet that elaborate on the symbolism in his pictures. These are noted below. Please keep in mind that the authors of these articles may have their own interpretations of Durer's work. We are always careful in co-op to let the children form their own relationships to the picture and not to project our own thoughts. However, these articles are informing to the teacher. The below links to the art work represent the highest quality image I could find in the public domain. We printed out each work at Office Max on light card stock. Each child had their own print for study.